For various reasons, the conveyor belt may at times, tend to drift laterally. In these cases it is possible to utilise vertical rollers with cantilevered spindles, these are generally known as belt guide rollers. 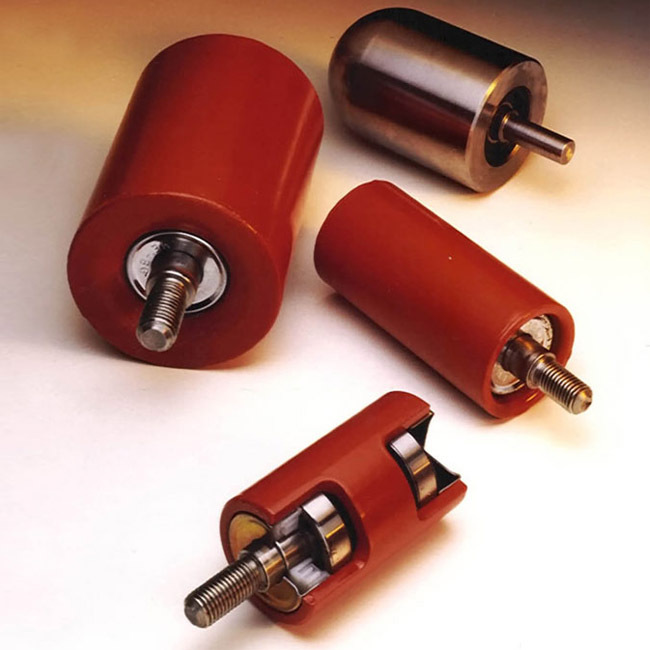 It is necessary however to pay particular attention to the use to which these rollers are put, so that the forces on the guide roller by the belt do not damage the belt edge. In other words, guiding does not eliminate the true reason for the belt tracking off. Consequently, the belt may ride over the guide roller or become distorted against it.